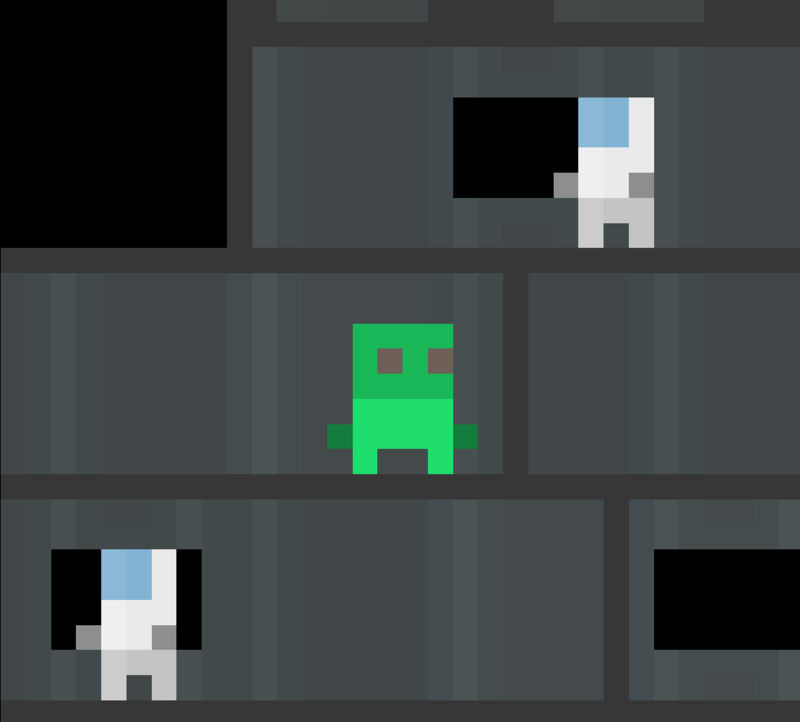 Tiny Alien Invader was made in 12 hours for the Low Rez Jam, and was originally released in May 2014. It's a platformer where you get to play as the bad guy. 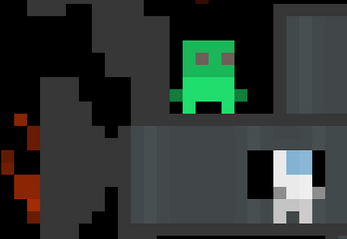 You control a tiny one-alien army intent on wiping out the human fleet. You spend your time finding and boarding human spaceships, and then destroying them from the inside. 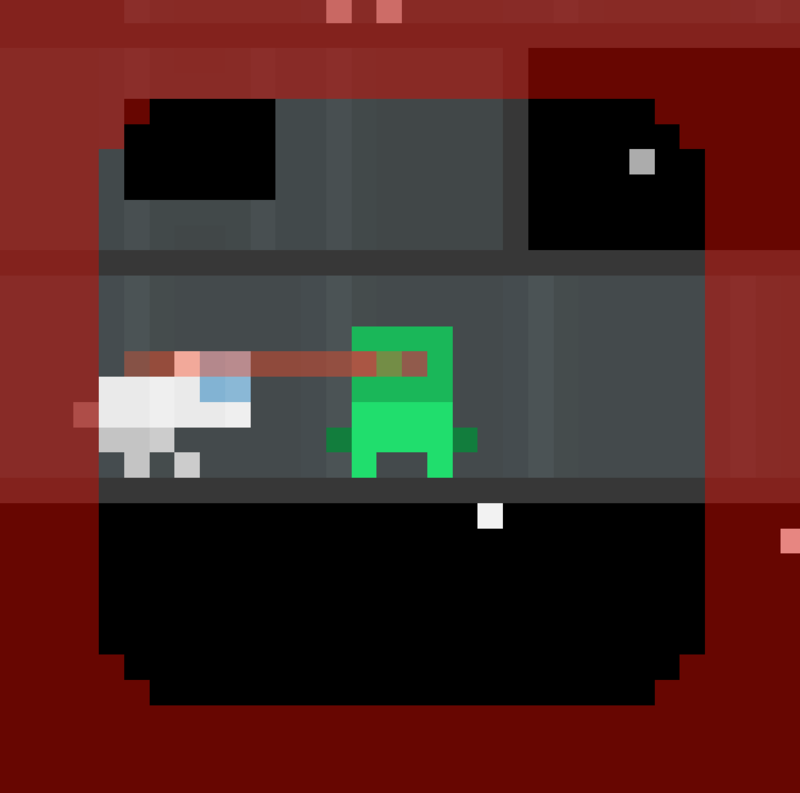 The Low Rez jam was a challenge to make a game with a native resolution of 32x32, which is ridiculously small by modern standard (about 2.5 times the size of your mouse cursor!). It seemed like a fun challenge, especially to get any character out of the tiny animations. Press X to start the game. 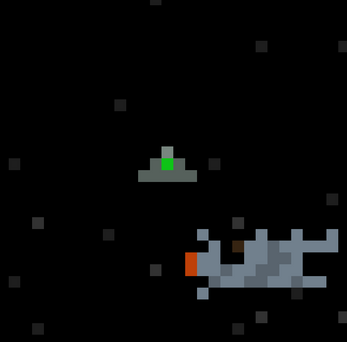 Use the arrows to move your ship and then press X to attack a bigger ship when you find one. When you're aboard a ship, use arrows to move and X to shoot. Hold Z and then press a direction arrow to teleport. When you first start out, there is a small red dot pointing in the direction of the nearest ship. Fly close to a ship and press X to board it. 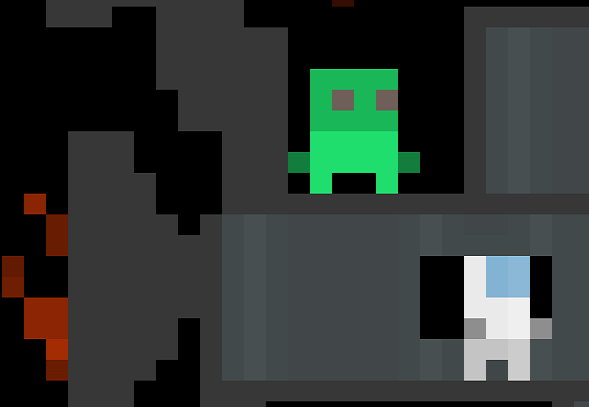 Once on board try to stay out of sight and then teleport behind an astronaut when they are facing the other way, then X to zap them.